A Kickstarter campaign wanted 'Greeks and everyone interested in history from around the world' to pledge money to restore Olympias so she could be usd in a '300' sequel. God preserve us from '300 go to Salamis' but restoring Olympias is a worthwhile idea. The project failed but maybe someone will try again. Had a great (?) idea for the rules. Shift everything over to cards ! Then players hold a hand of cards which they play against each other on behalf of the ships models in combat. e.g. a trireme wants to attack another. As attacker I play an 'attack' card against my target. He plays a card to defend himself from his hand. Idea is that different ship classes can only use certain cards. This involved identifying at least four kinds of attack and four kinds of defence. Then each must translate to a lower class if unplayable or there will be lots of situations lacking cards. (e.g. 'best attack' only possible for elite ships is translated down to a basic attack for a basic ship. Then what about movement - might as well use the cards for movment too. A hand of cards will give movement and combat possibilities for each turn. And damage too , should be on card. Just having cards will save a lot of time. Something like Sea Strike crossed with Top Trumps. Χάρτης / kartis, Greek for chart. This is behind the name of HARTIS.org a new Greek website for nautical charts which also includes a few short articles on historical nautical themes and high quality model ships. Worth a peek. 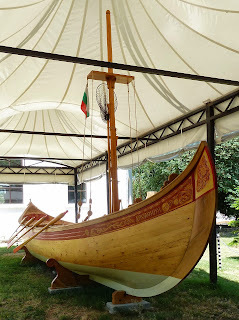 In the summer I visited Sozopol, Bulgaria and saw a fine example of an oared fishing boat. 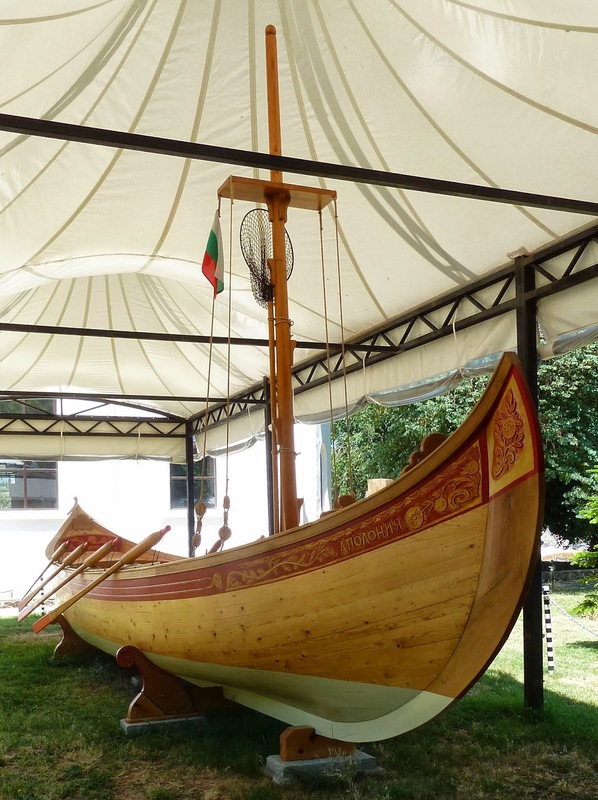 Information there identified it as a Turkish style of boat which arrived with the Ottomans. 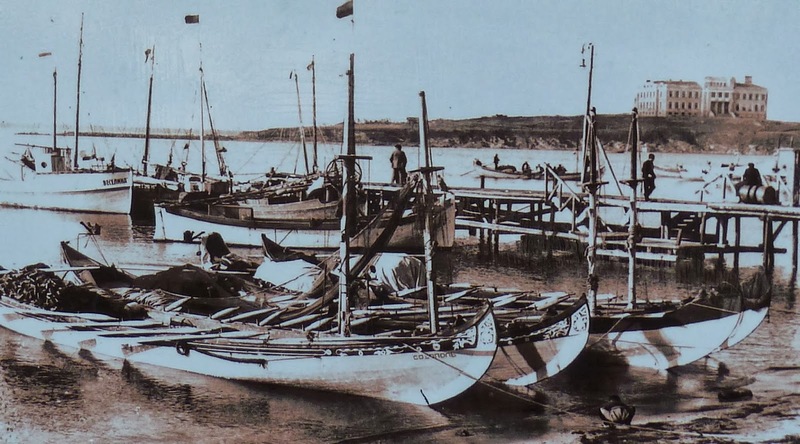 I now find some other evidence which identifies it as a type of fishing boat from Sea of Marmara, which would explain why it arived in Bulgaria with Turks. 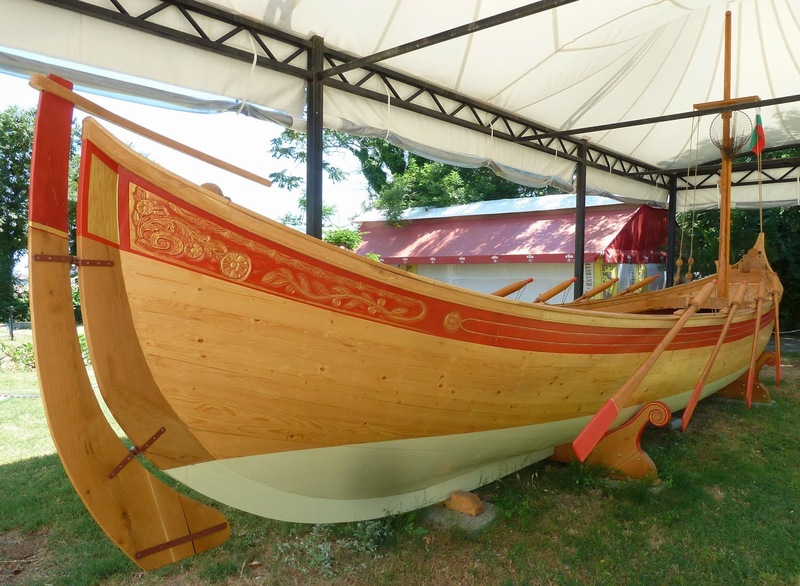 The boat is known in Greek as Santala, derived from ancient 'sandala' because it looks like a shoe. The Bulgarian name, Alamana, may also derive from this. The original is Byzantine. The boat was made to be rowed fast by up to 20 men. 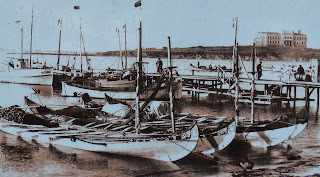 It was used for fishing, small loads and auxiliary to fighting ship. Somewhat like an ancient pentekonter or triakonter.